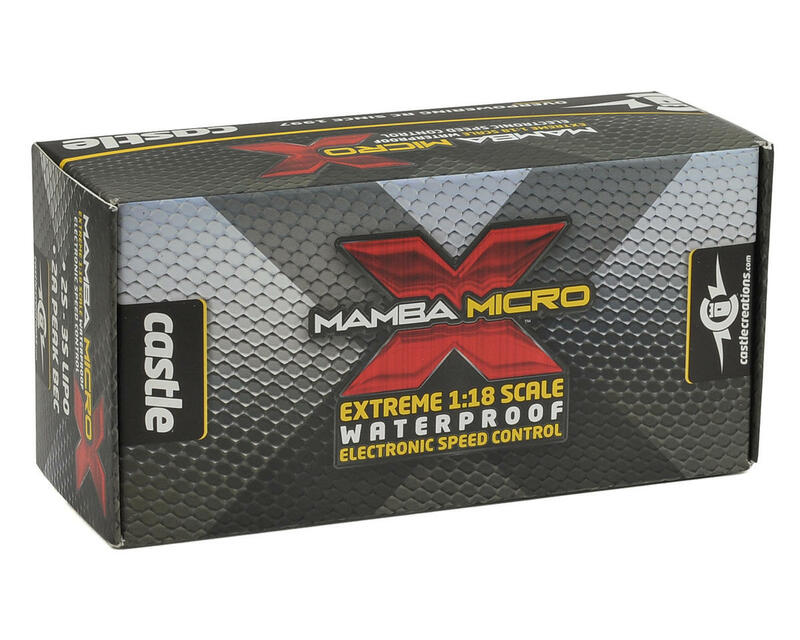 Castle Creations' Mamba Micro X puts Extreme Power, Extreme Control and Extreme Fun in a relatively small footprint. Small enough for most 1:18th scale vehicles, the waterproof Micro X is suitable for 2WD or 4WD vehicles over 1.5 lbs and up to 2.25 lbs. 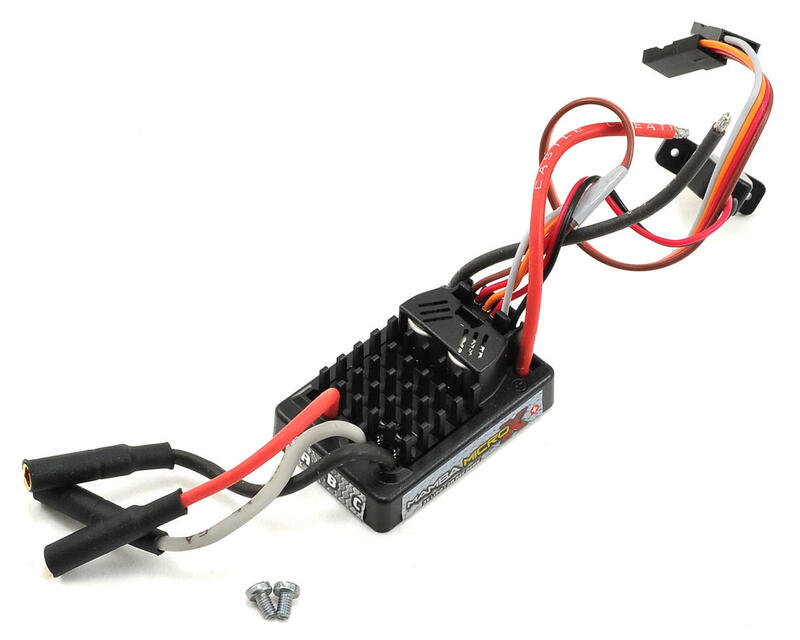 The Micro X and a Castle “mighty-mite” 0808 brushless motor is an awesome brushless power system upgrade for Mini-LST, Half-Eight, Mini-Quake and Spyder vehicles. The Micro X is available as a ESC only or in an ESC + Motor combination featuring the small but very, very powerful 0808 4 Pole brushless, sensorless 20mm motor. The powerhouse Castle 0808 motor combo is available in 4100KV, 5300KV or 8200KV ratings.